One investigation ends and another begins - maybe. 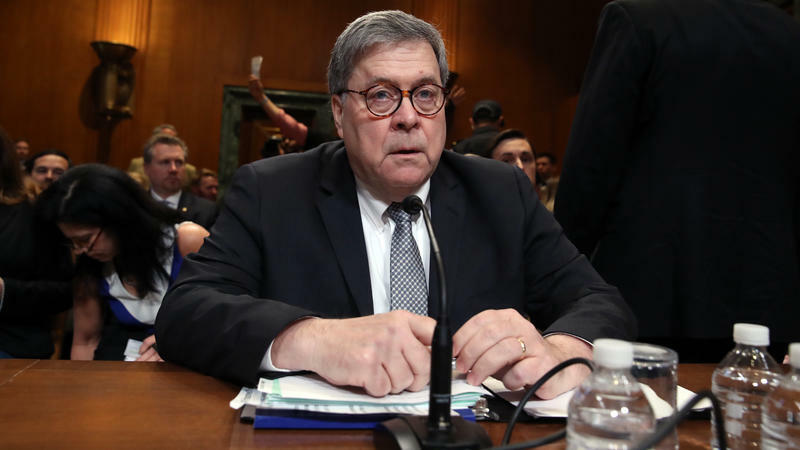 Attorney General William Barr says he wants to examine whether the government was right to spy on members of President Trump's campaign. 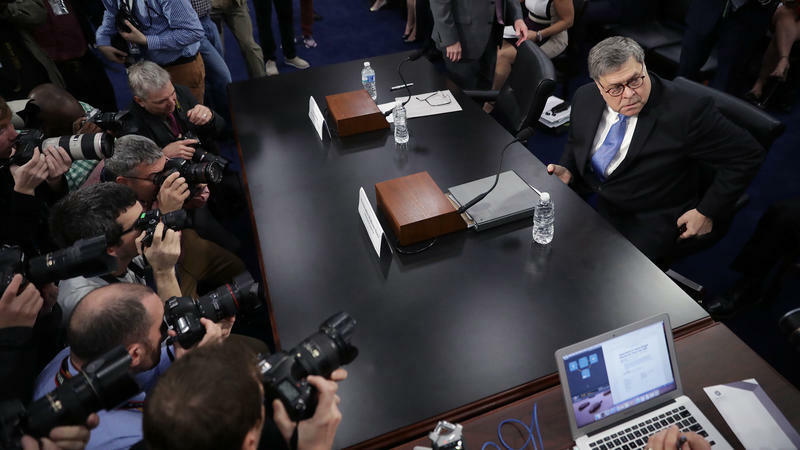 In Barr's words to Congress, quote, "spying on a political campaign is a big deal," end quote. Let's ask Senator James Lankford. He's a Republican from Oklahoma, and he joins us this morning. Thanks so much for being with us, Senator. JAMES LANKFORD: You bet. Glad to be with you this morning. MARTIN: President Trump has said - ever since the Mueller report was wrapped up - that he believes it was an illegal investigation from the beginning. He called it an attempted coup. Do you agree with him? LANKFORD: Well, I think that's what William Barr is going to ask questions to be able to determine - not if it's an attempted coup, but to be able to find out if there was anything inappropriate in the, as he describes, the upper echelons of the FBI - of how the investigation began. This is not a challenge to the FBI. This is a challenge to how they begin investigations. And that's a reasonable question to ask. When we go through the process and be able to determine at the end of it, there was no what the president calls collusion - what is actually a conspiracy with a foreign government. It's a reasonable question to ask, how did it begin - and to be able to get those facts because we want to make sure it goes correctly for every future investigation. MARTIN: The attorney general said yesterday that the justification he's giving for opening a new investigation is that the Trump campaign was spied on. We do know that the campaign foreign policy adviser, Carter Page, did have his phones tapped because the Department of Justice had concerns about his ties to Russia. Are you telling me you believe that to be a legitimate basis to start an entirely new investigation? LANKFORD: It'll be interesting to ask the question depending on who you ask, whether it's a legitimate basis to be able to look at and say they were campaign individuals that had their phones tapped, and we don't know what other information is out there at this point to be able to open that. It is the same issue to say that there was this document - this dossier that has now been discredited - that at the time, the FBI had no information to support it. Only this allegation of this dossier - beginning that - a whole investigation began around that. So the question is not were - was the president spied on? It's, how do investigations begin? And what is the appropriate way for an investigation begin on a presidential campaign? As we know very clearly, it's a pertinent question since we have 16 to 20 different Democrats that are now announcing for president. At this point, we would not want President Trump to use his FBI to then be able to reach into those 16 to 20 presidential candidates now against him and to be able to use that information in the power of the FBI. So it's a fair question to be able to ask regardless of who's running for office. MARTIN: I want to shift a bit and ask about the upheaval at the Department of Homeland Security. You actually chair the panel that oversees federal management of all government agencies. Three of the president's Cabinet members now serve in an acting capacity. So there's the vacancy at Homeland Security, there's an acting leader there - also at the Pentagon, the Department of the Interior, also the top roles at Immigration and Customs Enforcement and Customs and Border Protection - these are also vacant. Does that concern you that these people haven't been Senate confirmed? LANKFORD: That is correct, and yes, it is a concern for me. Interior will be resolved today with a confirmed individual to be able lead Interior. The DHS now open and DOD open are especially concerning. And in DHS in particular, a lot of the other individuals, whether it be ICE or whether it be Secret Service and others, they're open as well and acting. All those need to be resolved as quickly as possible. It appears that the White House was hesitating on filling some of the other roles at DHS until they made a determination on Secretary Nielsen. Obviously, they've made that determination. They'll have a new person at the top which will have the ability to be able to hire additional people in those other roles. But that takes even longer. DHS, Department of Defense, attorney general, the - state - these were all folks that were placed in the earliest days of every administration because they're critical roles to be able to have Senate confirmed individuals rather than acting individuals. And I hope the White House will move expeditiously through that process. MARTIN: The president says he made the changes at DHS though in order to move in a, quote, "tougher direction." What does that look like? And if a tougher direction means nominating someone to lead DHS who would take a tougher line on immigration, that person's going to have a hard time getting through a confirmation hearing. MARTIN: Do you think that you should change? LANKFORD: Well, that absolutely needs to change because this doesn't get better. We had a rule in 2014 - President Obama said, we're at a humanitarian crisis for those individuals coming through and families. We are twice that number now this year, and we're only halfway through the year. We are absolutely being pushed back with a humanitarian rush at the border at this point. And until we know how to be able to manage this - this is a difficult issue for us as a country, to be able to resolve for any leader until we can actually change the law. MARTIN: Do you believe the United States has a moral obligation to address the situation at the border and the root causes, for that matter, of the mass migration? MARTIN: But now President Trump wants to rescind that aid. LANKFORD: No, I understand. He wants to rescind that aid because now we have a mass migration coming from one specific country - from Honduras especially. And he's pushing back on Honduras to say, we need your help to be able to help engage in this area. No president, regardless of where they are - they can choose to either not enforce the law or you'll have large numbers of individuals as families coming over. That is a crisis dealing with children. And this is an issue that previous Secretary Nielsen had dealt with - the Central American governments - and was very clear that the leadership of the Central American governments say, we want our children back. MARTIN: James Lankford is a Republican senator from Oklahoma. Thank you so much for your time, Senator. LANKFORD: Glad to be with you this morning. MARTIN: Let's turn now to NPR's national political correspondent, Mara Liasson, who was listening into that conversation. Mara, what did you hear in there that struck you? MARA LIASSON, BYLINE: What I heard that struck me is the senator saying the law is the problem, the law makes it too easy for people to claim credible fear and get asylum. So if the law is going to be changed, I don't see any movement at all between the White House and Congress to talk about legislation that could fix the problem. In the past, the president has either been unwilling or unable to make a big deal with Congress, even before Democrats took over the House. When he would try to talk about some kind of immigration bill with Democrats, nothing came of it. So it sounds like until they can figure out some kind of a compromise to do the things that the White House and Republicans want - in other words, make it harder to claim asylum and do some of the things that the Democrats want - maybe some kind of legalization for the so-called DREAMers, young people brought here as children illegally - I don't see what the solution is. MARTIN: NPR's national political correspondent, Mara Liasson. Thanks, Mara. Transcript provided by NPR, Copyright NPR. Attorney General William Barr suggested on Tuesday he would negotiate with leaders in Congress who want to see the secret evidence that underpins special counsel Robert Mueller's report. If the leaders of the House and Senate judiciary committees want to see more, the attorney general said, he will play ball.